We do what others can’t, bring your BBQ or Patio Heater to us and save! We carry out Workshop repairs daily from Monday to Thursday, book in now! 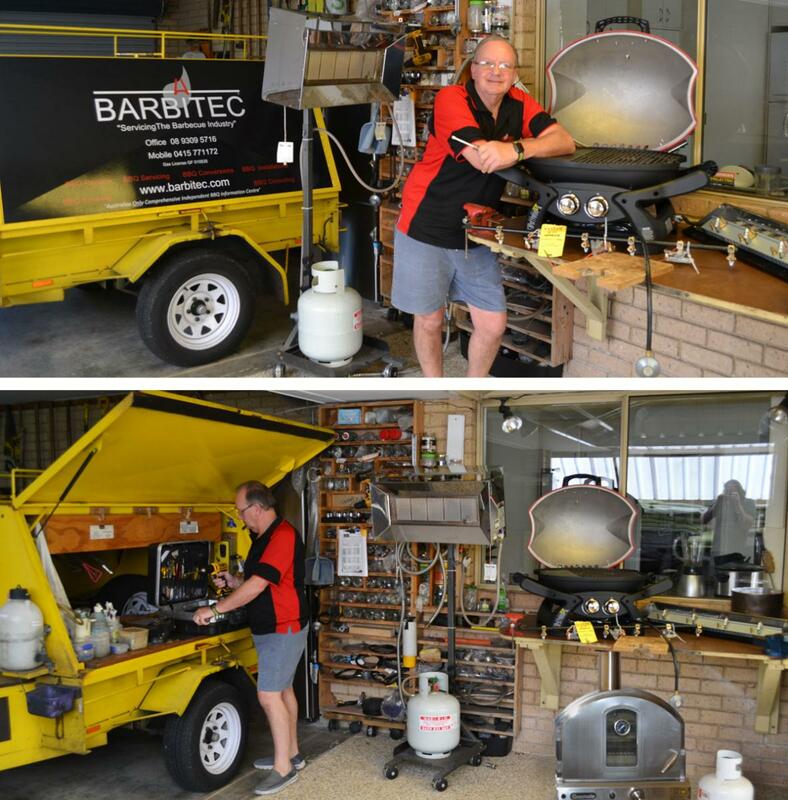 Our fully equiped Barbitec workshop ready to tackle your BBQ, Pizza Oven ot Patio Heater repairs and or maintenance quickly and efficiently. We carry parts for most Barbeques and spares for Patio Heaters. Obviously, we can’t carry all parts for all Barbeques but sometimes we can help you source it. We can carry out leak tests on Natural Gas and LPG products and have up to date equipment to do this. We turnover items quickly when they are brought to us as we realize that you want your BBQ or Patio heater back as quickly as possible. Tip: When you bring a BBQ to us take the trolley part off and all the plates out, remove the hood if it has one and any other moving parts but do leave the burners in or bring them seperately if they are removable like cast iron ones are. So ring us today and make a booking to bring in your items to us for a fast, economical and efficient solution to you barbeque repair, maintenance and conversion requirements. Ring us to make an appointment Monday to Thursday. (Both contact numbers divert to our office answer machine (24 hours) if either is unattended). All calls will be replied to as soon as possible, please make sure you leave your name and telephone number and nature of your enquiry.